ANIFPO commissions report on crewing issues. 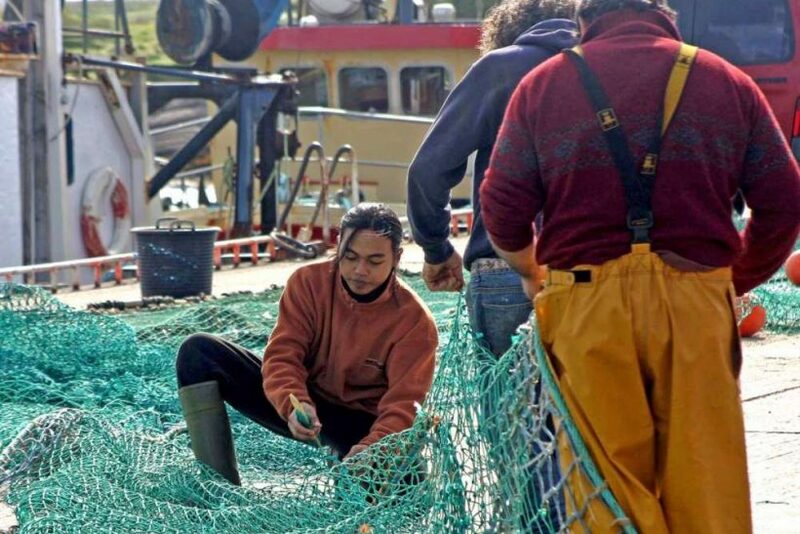 A new report on the employment of non-EEA crews on Northern Ireland vessels has found that the crews are treated well and that there is little or no evidence of slavery and trafficking in the Northern Ireland fishing industry, reports Tim Oliver. The report* is published against a background of the drive to highlight slavery and trafficking across all UK industry sectors, and significant evidence globally of slavery and trafficking in the fishing industry. There have also been concerns in Northern Ireland of heavy-handed activity by the UK Border Force and unnecessary detention of crew members. The report, by Human Rights at Sea, was commissioned in 2016 by the Anglo-North Irish FPO (ANIFPO) and stemmed from the PO’s approach to enhanced Corporate Social Responsibility (CSR). This is the first time in the UK that a PO has voluntarily requested a complete review of its work relating to the employment of non-EEA crews, against the current background of anti-slavery and trafficking investigations by UK police and other agencies. ● There were no warning indicators of trafficking or infringements of rights to a private and family life, or of assembly and association. ANIFPO, in a statement on the report, said it welcomed its findings as ‘an independent endorsement’ of the responsible approach to the employment of non-EEA crew that it promotes to its members. The report had, however, highlighted some areas of concern, and ANIFPO has set out its strategy of how it intends to tackle these issues. The PO said it has long-recognised employment of non-EEA crews as an area of concern. For the past three years, it has engaged specialist legal support to ensure such crew members are employed lawfully and UK immigration rules observed. 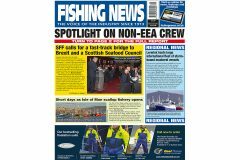 ANIFPO also points out that it has been at the forefront of work by the fishing industry to lobby the UK government to reform the current system of employment of non-EEA crewmen. “This work continues and, following meetings with immigration minister Robert Goodwill in December 2016, there are to be imminent discussions with central Home Office policy-makers on the current system,” says ANIFPO. 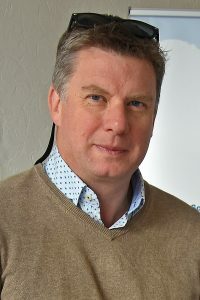 Alan McCulla, chief executive of Sea-Source/ANIFPO. ANIFPO highlighted that it has defended crew members who have been subject to immigration action, including raising a successful judicial review, in conjunction with the Northern Ireland FPO, following Border Force operations against non-EEA crew. The report raised anecdotal issues in other Northern Ireland ports. 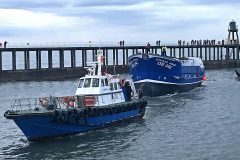 ANIFPO said that while there were limits to its influence beyond Kilkeel, it has close relationships with the industry and other stakeholder groups. It hopes that by engaging with the issues, it can ‘encourage the industry as a whole to grapple with the important issues raised in this report’. ANIFPO is seeking to improve communications across the board, as recommended in the report, and Alan McCulla, chief executive of Sea-Source/ANIFPO, has already held a meeting with non-EEA crew, liaising with the Fishermen’s Mission. The PO says that while it is ‘delighted’ with the report’s findings, it says it has raised a number of issues which are ‘endemic to the UK fishing industry’, and recognises that it is only a first step. There is a heavy reliance on non-EEA crew – one major agency in the Philippines supplies 400 crew to the UK – and terms of employment vary little across the fleet. The issues raised by the report in relation to the National Living Wage (NLW) and contracts ‘will undoubtedly exist elsewhere’. Alan McCulla commented: “The recruitment of experienced and qualified non-EEA fishermen is critical to the fishing industry in Northern Ireland. The welfare of all our crew is of paramount importance to ANIFPO. ● Security payments and total pay arrangements between the manning agent and crew member. ANIFPO said the NLW was ‘a thorny subject’ in the fishing industry, and the law had not changed significantly since the days when ‘share fishing’ was the main mode of employment and payment. The terms of employment of non-EEA crew in Kilkeel were no different to elsewhere in the UK. ANIFPO was ‘leading by example’ in fostering compliance with the NLW and other employment regulations. ANIFPO said it also intends to take a ‘pro-active’ role in relation to ensuring fair employment terms in the arrangements between crewmen and manning agents, including a trip to the main agent in Manila in the Philippines. *‘Independent research project into non-EEA nationals working in the Northern Ireland fishing industry’, Human Rights at Sea.